As part of Platform P’s weekend of exhibitions and performance events within The Duke of Cornwall Hotel, Plymouth, Room 509 was a hotel room with particular idiosyncracies and qualities: absence, presence, palimpsest, ornamentation, obsolescence, object, non-object. 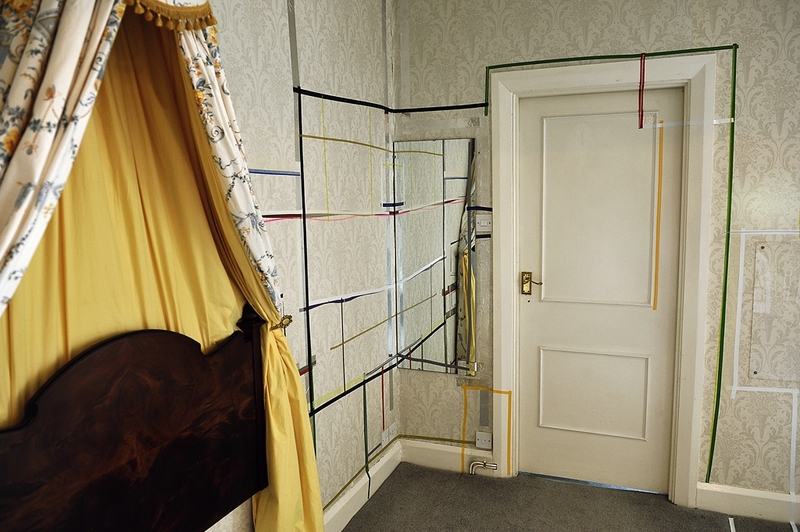 Sally constructed a series of wall ‘drawings’ made with insulation tape, that interconnected and overlapped creating one large spatial drawing. 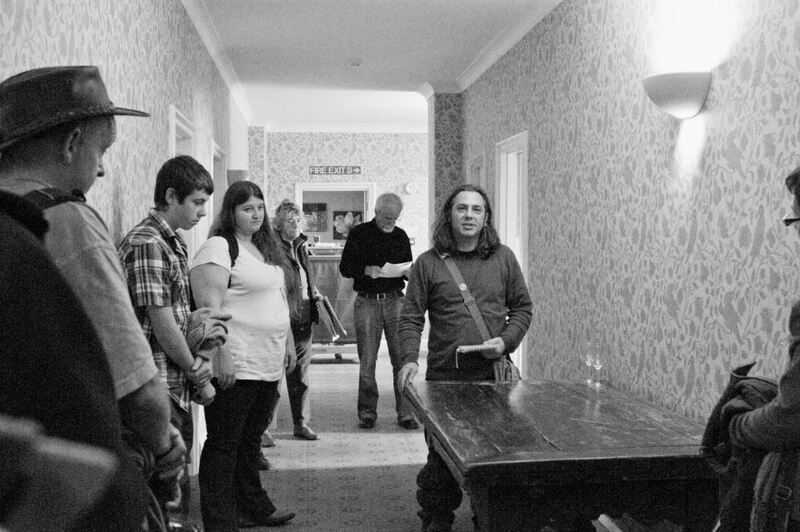 Jason carried out a series of walks that explored and revealed the hidden and unseen spaces within the hotel. Sally, Jason and Edith Doove performed their work from this ongoing visual research inquiry into Space and Place in the Ballroom (Saturday 5 November).